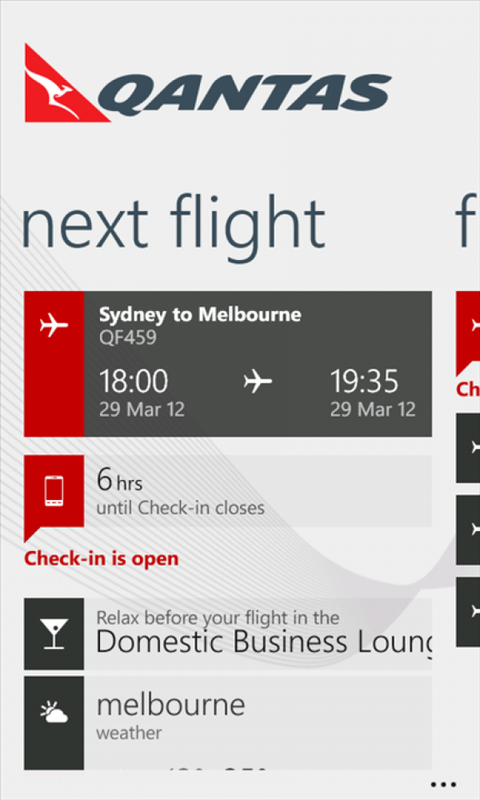 The Qantas app for Windows Phone is the ultimate travel partner for your next journey. 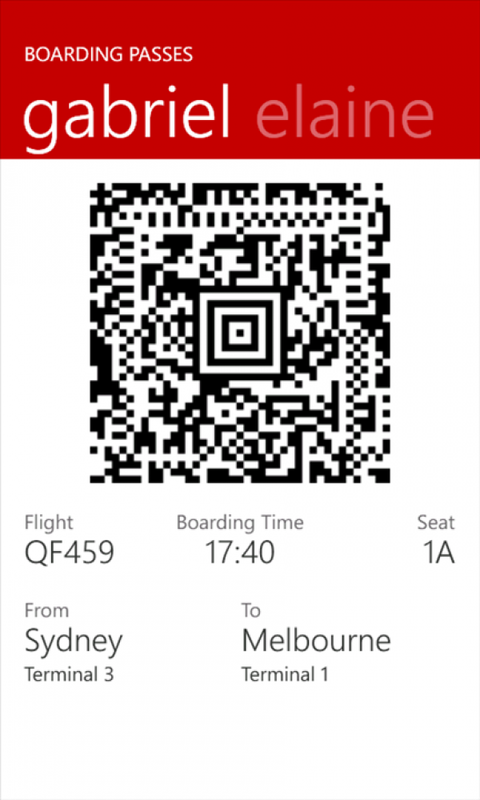 The Qantas app is designed to take the stress out of travel. From the moment you've booked, push notifications will alert you to any flight updates. 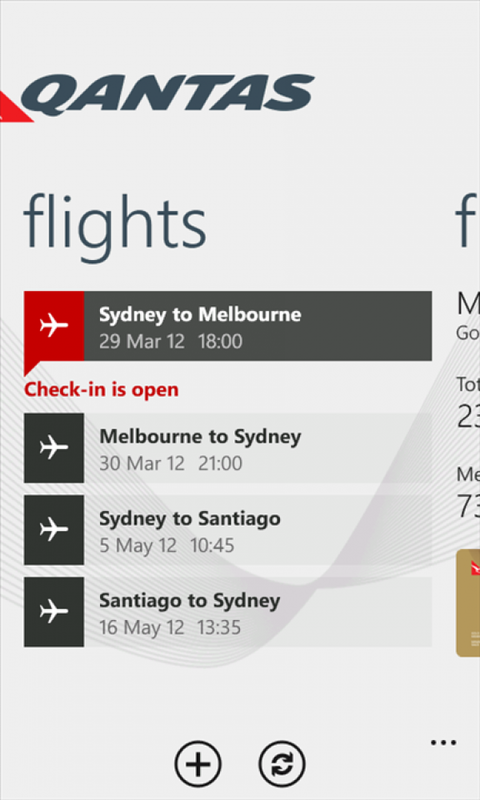 If you like easy on-demand access to flight information, you can pin flights to your start screen. Want to let friends and family know you're flying? Share your flight details easily with Facebook, Twitter and LinkedIn integration. As your flight approaches, alerts help you prepare for your journey. Access weather for your destination so you know whether to pack that extra jacket. You'll be guided through check-in when it's available (domestic flights only), and you'll be reminded when it's time to leave for the airport, with directions if you need them. You'll be guided where to drop your bag, which gate you need to be at and be given instant access to your digital boarding pass to board your flight. If you're a Qantas Club member, be guided to the lounge to relax before your flight. 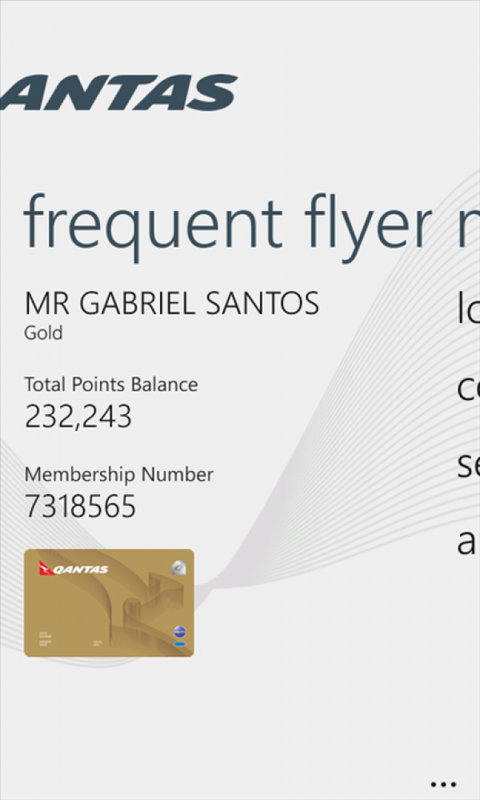 If you're a Frequent Flyer, you'll have instant access to your points balance so you can work out how far away that next award flight is. Our customers tell us that the most stressful part of travel is the time leading up to boarding. As airports become busier and enforce tighter security measures, getting checked in and even through to the terminal in time for your flight can be a stressful affair. By using a smartphone that many of our customers carry with them 24/7, we can begin preparing them for their flight when it suits them, and informing them about key changes as they happen. 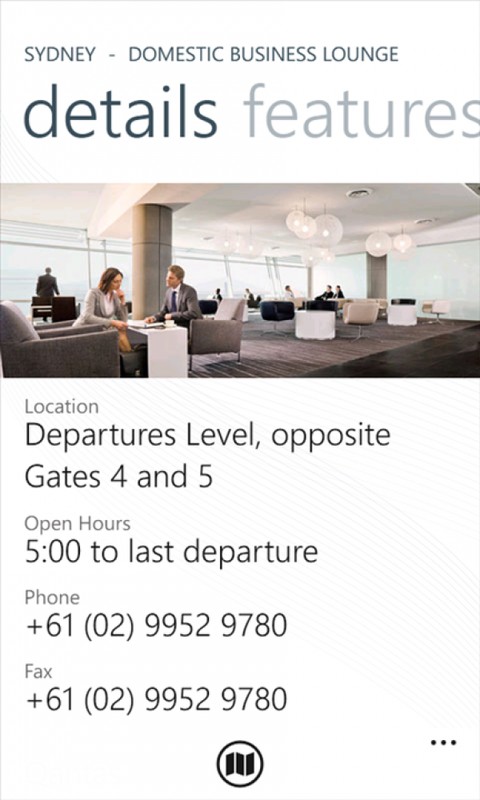 By preparing customers as much as possible prior to arriving at the airport and guiding them when they do get there, the Qantas app for Windows Phone is a truly unique and innovative tool to make travelling easier. With the expertise of IA and Design specialists Automatic Studio, the Qantas app was designed to take the stress out of flying. The timing of notifications and availability of functions are all centred around the ultimate travel experience - we've tried to answer the customer before they've even needed to ask. But we know the stresses for those who fly with us frequently compared to those who don't can differ, so the app takes into account Frequent Flyer tier to deliver a more personalised experience. The app was designed to make the most of Windows Phone's unique, fluid Metro interface, which has formed the basis of Microsoft's new Windows 8 operating system. Tiles update as soon as something about a customer's journey has changed, eliminating the need to go in to the app. The app takes advantage of the phone's location services, data services, push notifications and identity to deliver the best possible integrated mobile experience. We knew we could get maximum bang for our buck by leveraging our owned assets in order to deliver the message to our customers, particularly in places they are "on the go" such as airport lounges and in-flight. We targeted customers who interacted with our web and mobile sites using Windows Phone software, but also broadened the appeal to customers using other handsets by offering the chance to win one of three Nokia Lumia phones when we launched the app. 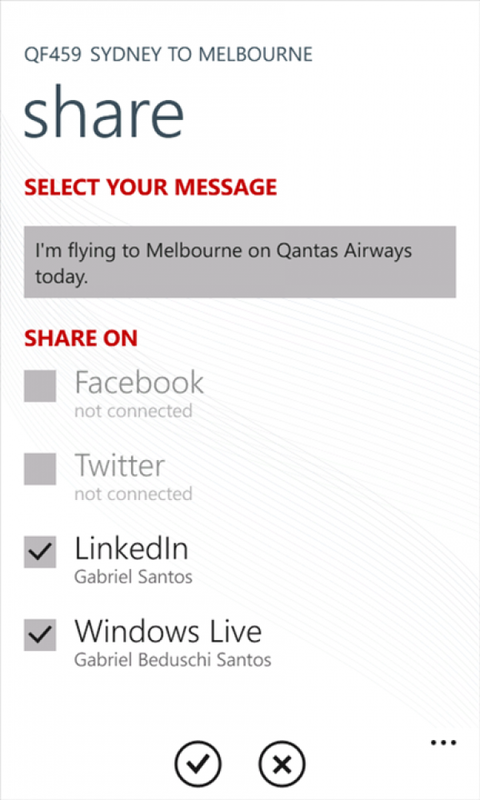 Additional reach was generated through PR and social activity by both Qantas and Microsoft, along with the app's popularity in the Windows Phone Marketplace. Ultimately the strength of the product was key in generating buzz. This category relates to the best application on the Windows platform.